I am not sure how I missed this gem the first time around. 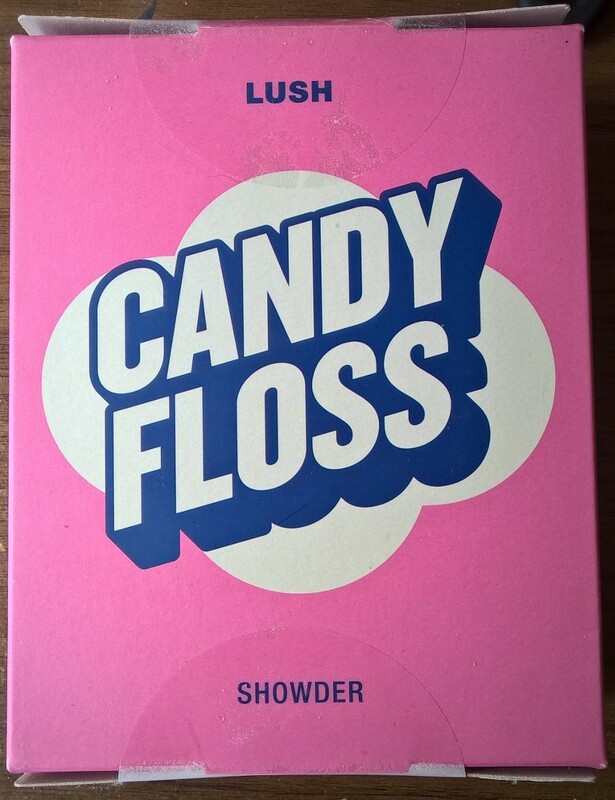 Candy Floss Showder is packed with granulated sugar which gently exfoliates the skin while clove bud, ylang ylang oil and Fair Trade vanilla absolute sweeten the mix. It genuinely smells like candy floss. It has a sodium bicarbonate base which means it fizzes up into a paste. I was slightly worried about wastage and I thought that I would probably drop half of it down the drain, but that wasn’t the case. Despite it being a powder, a little goes a long way. Showder also comes in three other flavours. I think the Lemon Sherbet one might be my next purchase. I regret not buying this bath bomb the first time around and so of course I had to get it the second time. This bath bomb reminds me very much of an old favourite of mine. 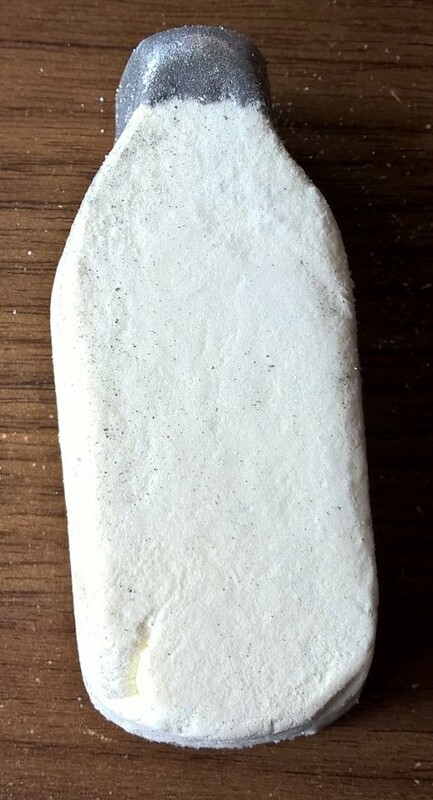 Can anyone remember the Happy Pill? This pill is completely different though. At first I could not really pin point the smell as it is so different to anything that Lush has to offer bath wise. It contains Majorcan almonds and Peruvian Rosewood so it is both floral and zingy. This would be a good one to have in the morning to wake you up. 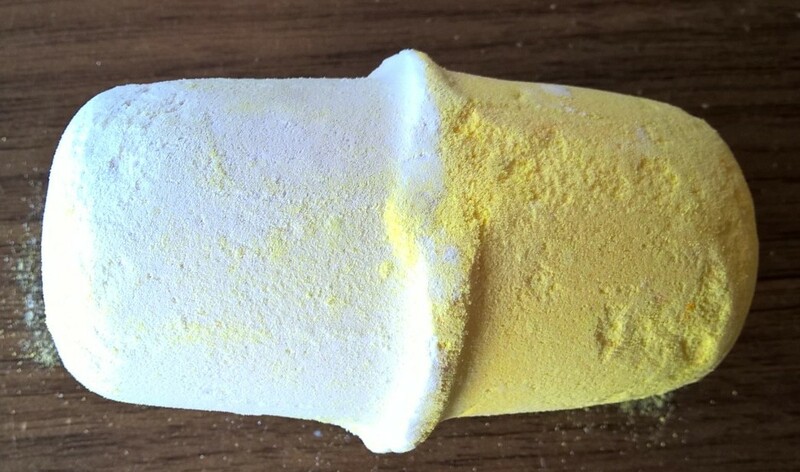 It takes minutes to dissolve into the bath in a specular display of yellow, white and silver, before turning the bath a toxic yellow colour. This one is impressive. 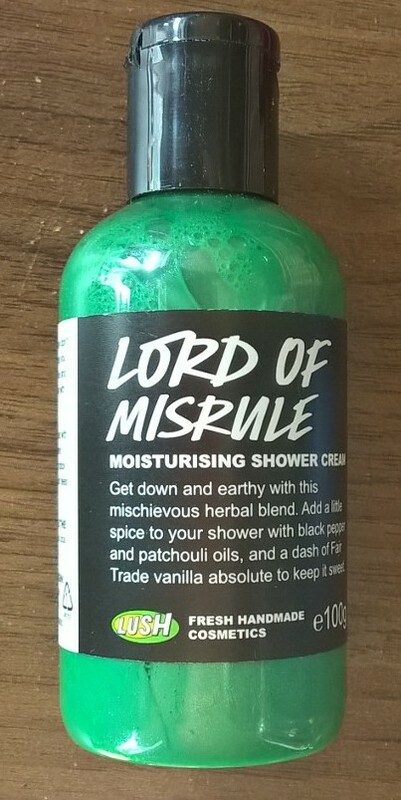 As mentioned in my previous article, the Christmas favourite, Lord of Misrule was also made into a shower cream. And I must admit that it smells impeccably close to its bath bomb sibling. Bits of silver lustre add a shine to the shower cream and its amazing green tint turns the skin hulk green while you shower. (Don’t worry it won’t dye your skin hulk green.) The wheatgerm oil makes the skin irresistibly soft, meanwhile the patchouli and peppercorn infusion gives it an earthy, but musky scent. I am still deciding if I love this one or just like it. Big Bang Bubble Bar is super duper citrusy and man do I love my fruity smells. If you like Happy Hippy shower gel, Avobath bath bomb or Montalbano shampoo bar you will love this one. It has tons of avocado butter in it to soften the skin as well as grapefruit oil and lemon myrtle oil for smell. 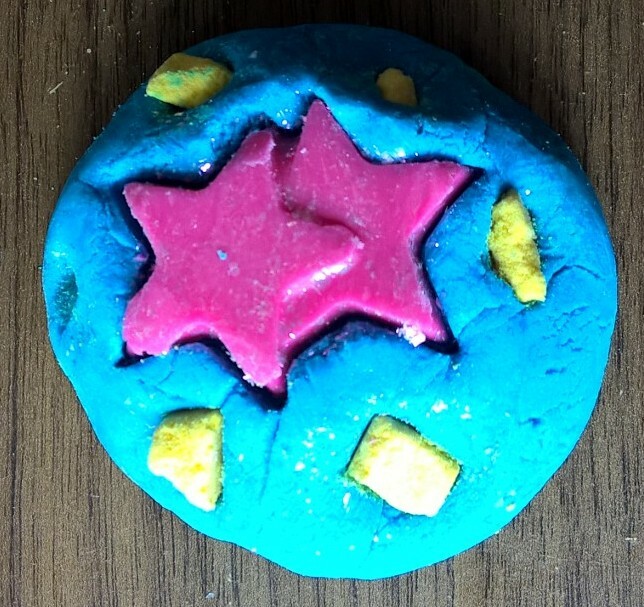 The stars on the top is a completely different texture which makes me think that they might be a mini bath melt? Its fresh, clean smell had me at first sniff. Why did I only buy one? Ok, so I think we have figured out that I am very biased when it comes to the shower stuff. As much as I love baths, shower is definitely my thing. I can remember looking at Beautiful the first time around and thinking that it smelt nice but was it really something I would use? The second time around I demoed it and it smells fifty billion times better on the skin than it does in the bottle. The gold glimmer lustre makes you feel like a beautiful princess when you use it. Myrrh gum powder and apricot infusion, peach juice and gardenia extract make it fruity and floral. At first the gardenia makes it sharp, but after there are soft peachy undertones. I think this one looks adorable. This one turns the bath the colour of milk. It’s silver top dissolves into the water to look like molten silver while softening the skin as it is packed with cocoa butter. This one also contains skimmed milk and orange oil which is super uplifting. This one is a good pick me up if you are having a down day, feeling slightly stressed or if that horrible cold thingy that is going around at the moment gets you down. It is very comforting. This picture really does not do this product any justice. 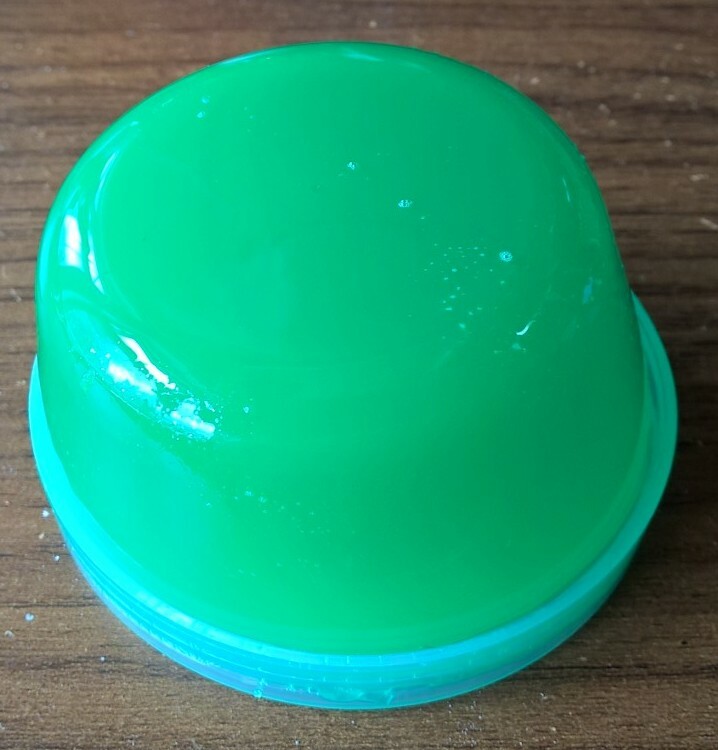 The sun was very bright at the time and I would just like to say that Needles and Pine shower Jelly is actually a really amazing translucent dark green. Have I ever mentioned that shower jelly was invented for Lush’s tenth birthday party because all the great parties have jelly? I always thought this fun fact made the product very teenager friendly, but to be honest I would define this smell as very adult. Pine Needles and Cypress Leaf infusion, grapefruit oil and cedarwood oil transport you to a peaceful woodland. I get the impression that this would be a nice one to use on a cold rainy day. 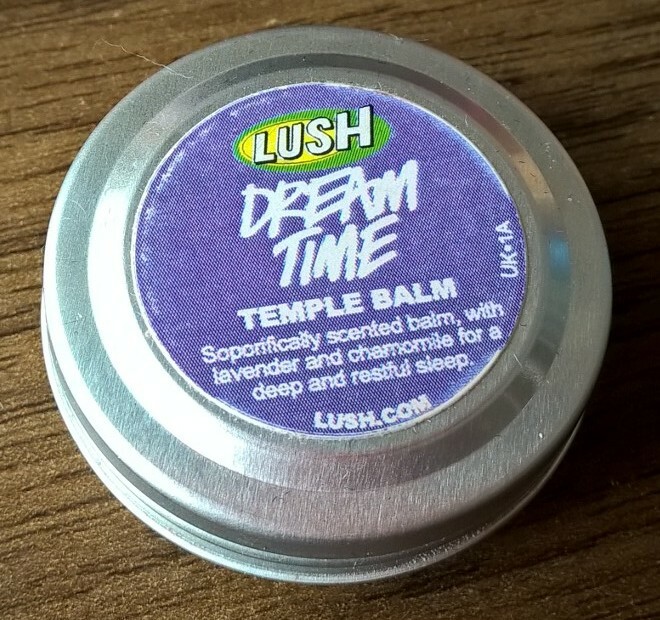 This balm literally has the same smell as the Dream Time bath melt and is designed to distress you and help you sleep. The idea is to rub it into your temple and let the smell relax and calm you into a peaceful well rested sleep. Lavender oil, chamomile blue and sandalwood create a calming, herby scent while jojoba oil softens the skin. This product is also used in the Lush Spa! (I do believe all the Spa stores, as well as Oxford Street sell this one.) If you like this temple balm, there is also a Whoosh one which has exactly the same smell as the Whoosh shower jelly. As a fan of the existing Emotional Brilliance range I was super excited to see lipsticks in the classic lipstick form. I was even more excited to find that they had exclusive colours. Although this one in the picture looks purple colour it is actually a dark plumy, brown colour. It makes me feel so–dare I say it–amazing. This lipstick has loads of jojoba oil in it, which as mentioned above, will leave the lips feeling soft. There were so many colours to choose from, I think it took my friend and I at least ten minutes to pick one out. It was between this one or passionate. I ended up buying both.